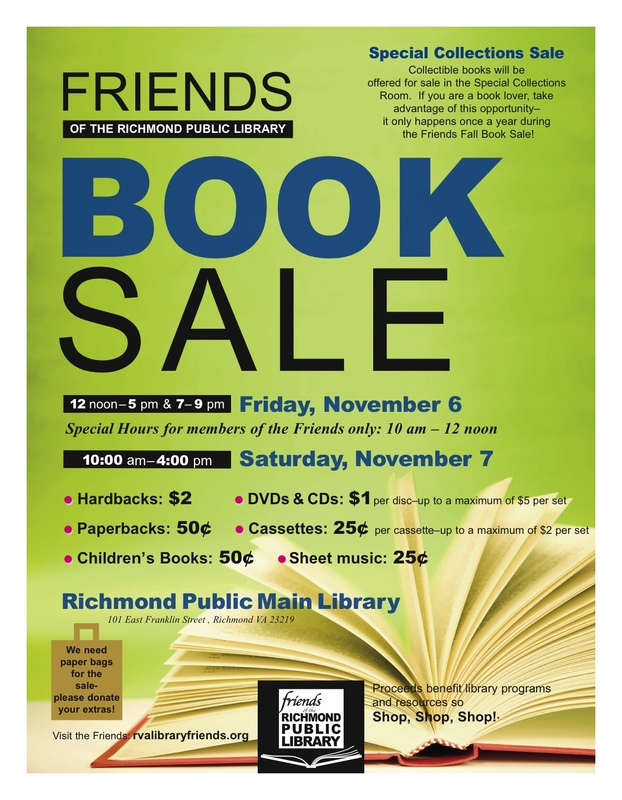 Join the Friends on Friday, November 6th and Saturday, November 7th for the Fall Book Sale! Preview for Friends Members from 10am to Noon on November 6th. You can become a Friend at the door.